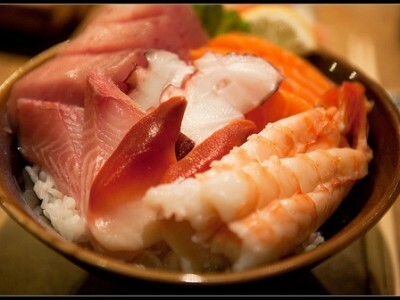 Sashimi is sliced raw fish, normally eaten with a dash of soy sauce and a bit of wasabi. 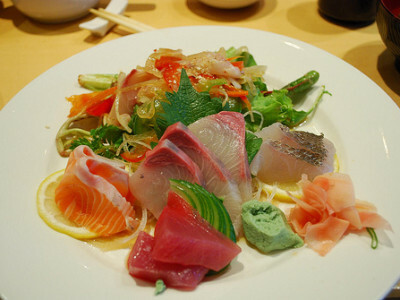 Though sashimi is not sushi, it deserves to be included because it is probably the best method of getting the true taste of the fish. 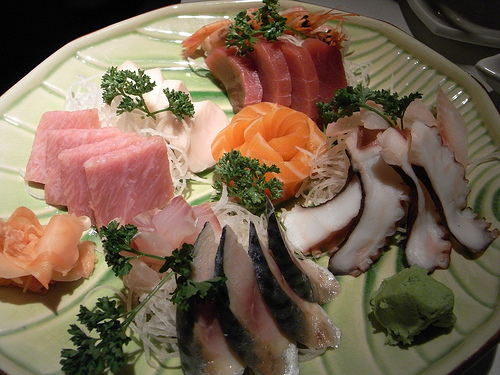 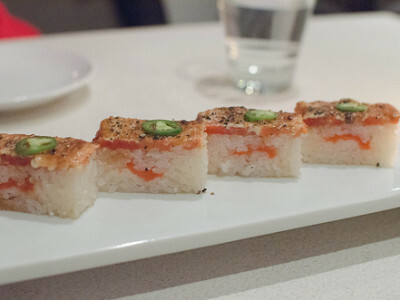 The most populate are Maguro (tuna) and Sake (salmon), but you can also have Hamachi (Yellowtail), Tai (Sea Bream), Saba (Mackerel), Ika (Squid), Tako (Octopus), Amaebit (Sweet Shrimp), Hotate (Scallop), Hokkigai (Surf Clam), Ikura (Salmon Roe), Uni (Sea Urchin).